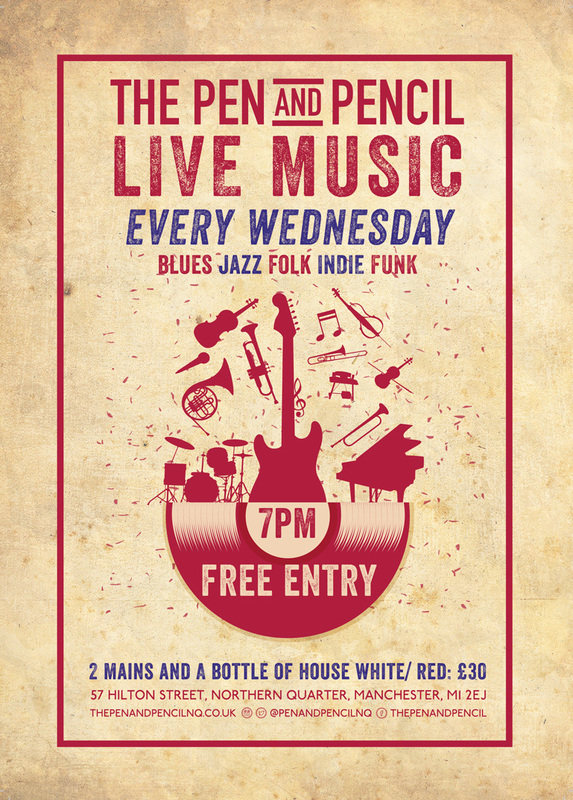 Wednesday night is live music night here at The Pen And Pencil, when we’re welcoming some amazing artists from the world of Blues, Jazz, Folk, Indie and Funk from 7pm – and you’re invited along, for free! Now, if you fancy music and a meal, we have an extra-special offer: order any two mains between 6pm and 9pm on Live Music Wednesdays, plus a bottle of house red or white wine, and the lot is just £30. Let’s love our mid-weeks!